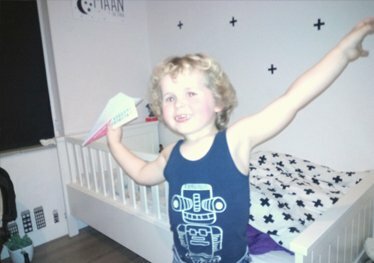 Win an app controlled paper plane! We at fortop are crazy about everything that has to do with technology. Also in our free time. You too? 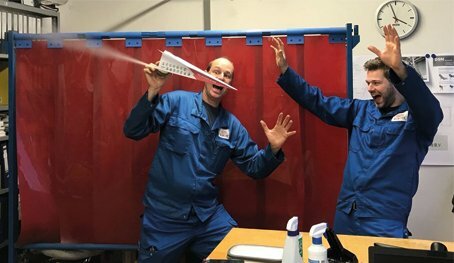 Join our action and win an 'app controlled paper plane': a paper airplane with a propeller that communicates with an app on a mobile phone. 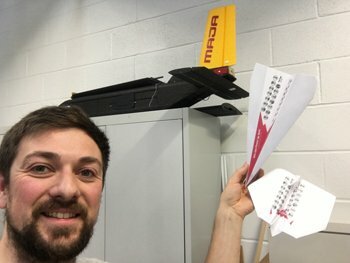 Do you want to win such an app controlled paper plane? 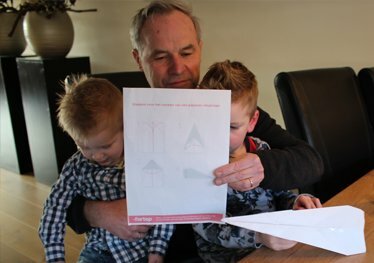 Download the folding drawing and assemble your own paper airplane. Send a photo of yourself by plane to paperplane@fortop.co.uk. The best 5 entries win a tool kit. 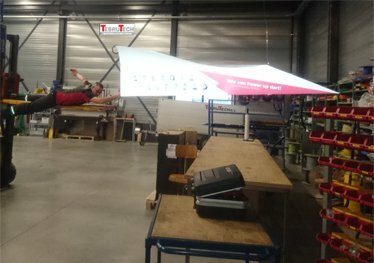 To ensure that the print comes on the plane properly, it is important to fold the aircraft in this way. By submitting your photo you give fortop permission to use the photograph for communication about this promotion. Join in on our action untill Januari 28th, 2018. Five winners will be chosen from the entries. The 'jury' consists of employees of fortop. Winners will receive the tool kit at the beginning of 2018. Employees of fortop and their family members are excluded from participation. Do you have questions? Send an e-mail to marketing@fortop.co.uk. We are happy to help you out.